All cars being serviced at Cranbourne Toyota are thoroughly inspected and any recommendations for adjustments are discussed with our customers. That’s why we insist that every technician who works for us goes through a rigorous training program to become knowledgeable about all Toyota models. 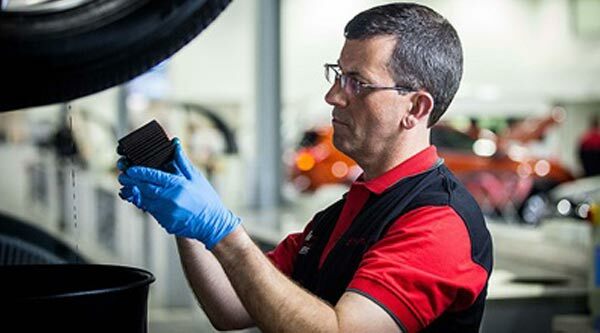 Whatever Toyota you drive, you can rest assured that our technicians are more up to speed on what’s under the bonnet, and have access to the right diagnostic tools. If there is an outstanding recall on your Toyota, we are here to help! Click here to check if your vehicle is included in any recall campaign. If you find your vehicle is affected by a recall, please DO NOT use the online booking tool to book your recall - as we need to speak to you personally about your vehicle’s specific requirements. We’ll check all key components like Wheels & Tyres, Steering, Suspension, Brakes, Lights & Indicators, Seat Belts, Windscreen & Windows, Wipers, Washers and the Chassis and engine are in a roadworthy condition. If you're interested in having our expert team carry out your roadworthy inspection, click here and fill out the enquiry form. While your car is in with us for a recall, we’d like to offer you the opportunity of having our Toyota Techs go over your vehicle and make sure everything else is in good shape. Our team will replace your engine oil and filters and check all your major components, including belts, brakes, lines, hoses, tyres etc… so you can get a snapshot of where your car is at – make sure it’s safe or if there is anything you might want to look at in the future. All for $149. Speak to the team for more info on this exclusive offer! For all recalls, please call our dealership on 03 5955 1190 to speak to our Service Advisors who can assist with booking your vehicle in to our workshop. Cranbourne Toyota offer more than just servicing with a range of One-Stop-Shop products for most of your car maintenance needs. Keep things simple by servicing your car and getting the products you need, in one location. Having your car serviced by us according to the recommended maintenance intervals is a valuable investment and may assist in your car's future resale value.